Both sides of the stem cells controversy are passionate about defending their positions. Before discussing stem cell research pros and cons it is important to understand the different types of stem cells and where they come from. Stem cells can come from three different sources. One source is from the bone marrow, peripheral blood vessels, or tissue of a person. Stem cells are even found in the heart and brain. The second source of stem cells is an umbilical cord. The third source is from a fertilized human egg. This last source is one of the most hotly debated parts of the stem cells controversy. The pros of stem cell research include the possibility of curing devastating diseases or conditions like Parkinson’s, heart disease, stroke, diabetes, and genetic defects. Proponents believe that stem cells can repair a damaged spinal cord or brain. There would be little risk of rejection if a transplanted organ came from the person’s own stem cells. Stem cells are thought to play an important role in cancer. Skin stem cell research will most likely result in the ability to regenerate skin and hair. Arguments against stem cell research tend to have a more religious basis. On the con side of the stem cells controversy people are afraid that eventually we will be cloning humans, that we are acting like God, and that we are tinkering in areas where we have not fully considered the scientific, ethical and moral consequences. 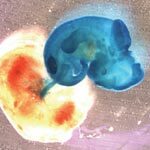 The most heated part of the stem cells controversy has to do with the destruction of a fertilized egg in order to harvest the cells. The cells often come from eggs that were fertilized in the laboratory for in vitro fertilization, but are now no longer needed. Some people see this as destroying a human life, even though that fertilized egg will never be implanted and grow into a person.